Mercy Sakes Alive! 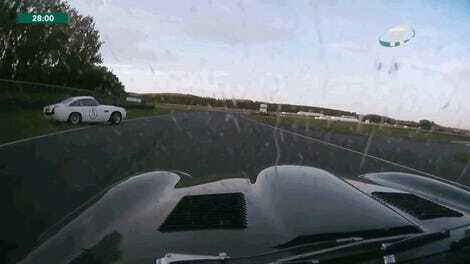 This Mustang battle is some incredibly close racing. 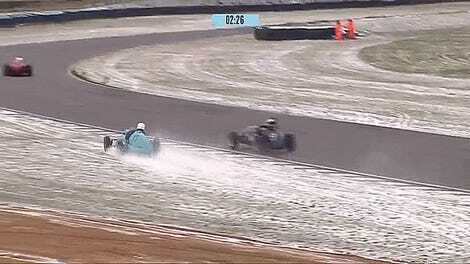 Would that all vintage racing provided this kind of door-to-door throw down. 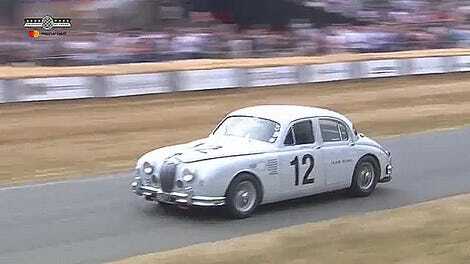 Only Goodwood can reliably produce this kind of mega battle in all manner of vintage car. To understand why one only has to look at the driver names on the running order to the left of the screen. Kristensen, Dumas, Jani, Brabham, Pirro, Franchitti, and more. With sports car specialists like that on board, it’s hard to have bad racing be the result. While these racers are used to precisely tuned modern machines, these old cars play it literally fast and loose. It takes some getting used to, but they’re up to speed (pun intended) rather quickly. This is a short clip, but to see wild racers Neel Jani and Romain Dumas, both Le Mans winners and former FIA WEC champions, going at it hammer and tongs is an incredible opportunity to see world class talent racing cars from before they were born. I could watch this short clip on repeat at least a dozen times a day from now until the end of days and never get bored. It helps that I’m a huge fan of this body style of Mustang. Sorry for the pun title. It had to be done.